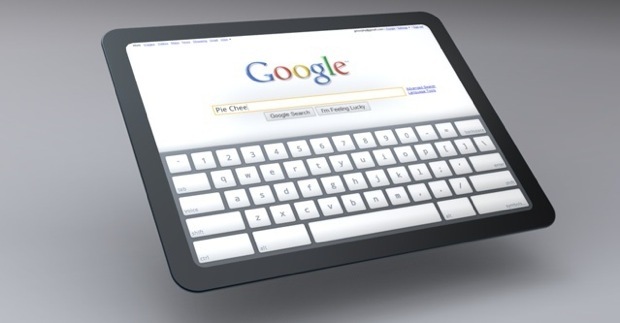 Looks like Google could actually join the “me too!” tablet PC frenzy that’s been stirred up by Apple’s iPad–as demonstrated in a concept rendering of how Chrome OS could work on a tablet. Will Google make the leap though? The latest rumors are sourced at the Chromium Projects Web site, an official Google developers forum, which is noting that Chrome OS on a tablet would work best on screens between 5-inches and 10-inches, and its touch-based user interface would be a full-screen one that may use a tabbed system to navigate. The biggest question is which sort of consumer would be interested in buying a GooglePad, and it’s a thorny one. Industry pundits have been touting the simplicity of Chrome as appealing to many consumers who don’t want to tangle with Windows or a complex Linux portable…and this covers some of the same market that people are also suspecting will like Apple’s iPad. So will Google actually go ahead with this? It certainly could as there are enough early competitors to suggest the tablet PC market may thrive. And with its Android phones, particularly the own-branded NexusOne, Google’s already shown it’s keen to enter into space dominated by Apple. Since Android is being ported to several tablet PC-alike gizmos this year, it’s not too much of a stretch to imagine its more powerful OS arriving on an own-branded tablet.